When it comes to slot themes, we have loads of Egyptian and Greek inspired work. Very few companies have the insight to look to the East for colourful and creative looks for their games. 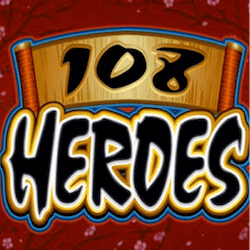 Microgaming have come forward to take advantage of the lack of historical Chinese themes and announced the release of 108 Heroes. Their latest hit slot has taken inspiration from the historical accounts of the greatest warriors in Chinese history. This epic new slot game will be available from the 6th of September. All Microgaming powered online casinos will have the slot available in both real money and free to play versions. 108 Heroes is based on the historical novel called the Water Margin that tells the story of Ancient China pre 14th century. The work includes the mention of 108 great warriors and generals that had a large influence in the country at that time. You will see these legendary figures appear on the slot reels along with more traditional symbols like the Aces and other familiar icons. 108 Heroes also features colourful cinematics that help tell the dramatic story of these heroes either on your desktop or smartphone. That’s right, Microgaming have gone the extra mile and made this new release mobile compatible so you can take it on the go with you. 108 Heroes has a 3 reel 15 payline design with 2 special features to keep the slot rewarding and interesting. The main bonus game is the Treasure Bonus. Line up 3 matches chests and you will be treated to an animated sequence before you are dropped in a pick me game. There will be twelve chests and depending on how many symbols triggered the bonus game, you will be able to pick up to 5 chests that award an instant cash bonus. The game also offers free spins with its Ancient Symbol trigger icon. Player will be able to unlock a minimum of 10 spins with 3 symbols. During the free spins all wins will have a 3x multiplier attached. If you land 2 more symbols during your free spins the multiplier value will be increased. If you land 3 or more symbols the free spins will retrigger, awarding you 10 more free spins. 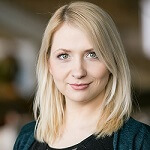 All accounts from industry insiders as well as fans point to another hit title for Microgaming. This slot should fare as well in the West as it will in the Asian markets thanks to the slot’s great design and rewarding features.